We thank the following Elks scholars who have given back by donating to the ENF. Their support helps fund scholarships for future Elks scholars, and shows their commitment to the Elks family. Learn more about Elks scholars. Are you an Elks scholar? Donate today in any amount. 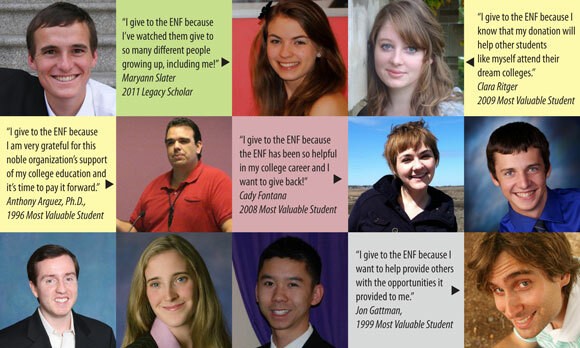 Join your peers in helping fund future ENF scholarships.